It was an electoral contest, of sorts, where the outcome was dictated by chance and not the ballot box. Tuesday morning in Town Hall, three open slots among the town's justices of the peace -- set aside for those not affiliated withe either of the two major political parties -- were filled by a public lottery conducted by Town Clerk Patricia Strauss. The lottery was staged because six local unaffiliated voters had submitted their names for consideration for the three seats. The three not selected were awarded "alternate" JP status. 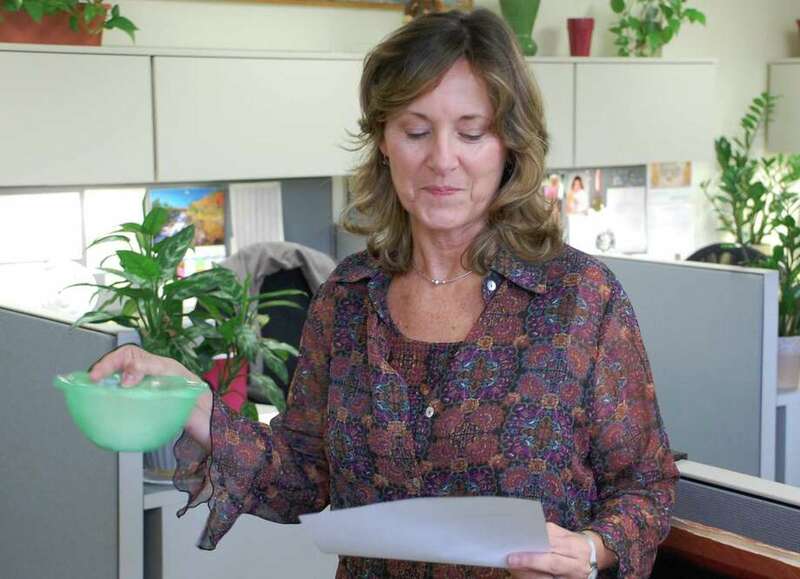 Gail I. Kelly, Lisa Marie Alter and Brad Flint Stender were chosen for the four-year position, their names drawn from a ceremonial vessel -- a green bowl -- by employees in Strauss' office. The three others -- John Joseph Williams, Karen Jean Solicito and Peter A. Gold -- will be alternates, in that order. "It's once every four years and it runs along with the presidential election year," Strauss said. Each major party is allowed to appoint 20 justices of the peace, with 20 spots also allotted for unaffiliated voters. Tenured justices are offered the positions first. At this time there are 17 Republican justices and 16 Democrats. "There are two jobs for the justice of the peace," Strauss said. "They can perform wedding ceremonies. They can marry people. And they can quell riots," which she said would appear to be a more arcane responsibility of the office. Justices also have the power to authenticate signatures, including affidavits and acknowledgements. "They have general oath-giving powers," Strauss said. "They may take acknowledgements, and they may take depositions." As far as these new appointments are concerned, she said, "The only requirement is that you must have been an unaffiliated voter on the voter registry list of the town before May 1." Strauss wasn't too surprised that no one showed up for the lottery -- including the contenders -- but said they would probably be checking in later in the day to learn the results. "We give them about five weeks to come in and get sworn in," she said. "If they do not get sworn in before Jan. 7, then they are not justices of the peace." The town clerk added that the three candidates not chosen in the lottery are "in reserve for four years," in the event that any of the others leave town or die. Strauss said she tends to see some of the Westport justices' names on new marriage certificates frequently, while others rarely execute the duties of the position. "I have active JPs and I have inactive JPs," she said.